Hello all! Valentine’s Day Release from Hero Arts is live and its yet another spectacular one. I am loving new sentiments (both clear and wood stamps) and new die + stamp combos. Have you spotted a favorite yet? I’d like to start by sharing 2 cards I made using You Are My Happy stamp set (I just adore the Truly Madly Deeply sentiment), Heart Vine and Love You Messages wood stamps and Love Stamp & Cut combo. I went with very traditional pinks with a bit of green and yellow and just a touch of gold. 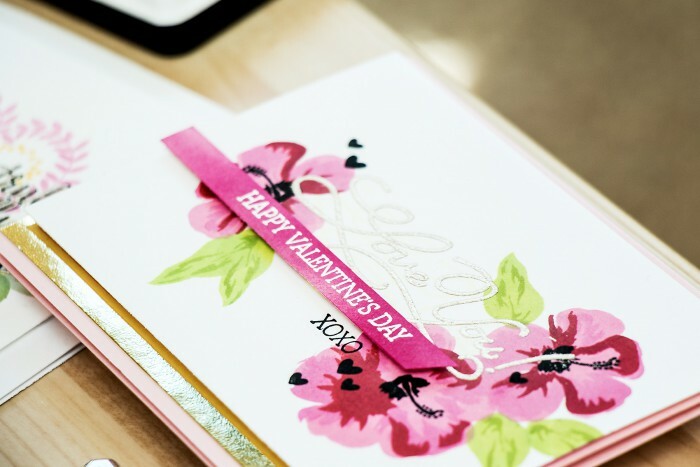 My Love You – Happy Valentine’s Day card also features an all time favorite Color Layering Hibiscus stamp set. I stamped 3 flowers using Bubble Gum, Ultra Pink and Red Royal and added a few leaves using two lighter greens from the Lime to Forever Green ombre pad. 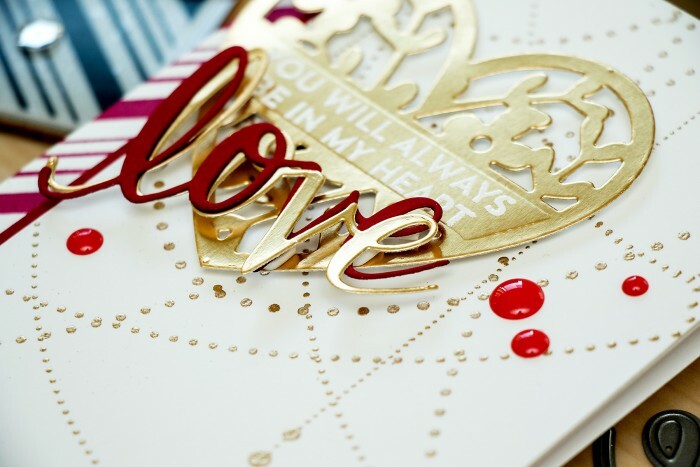 The Love You sentiment was heat embossed using Brass embossing powder and the Happy Valentine’s Day one was embossed using white onto a piece of white cardstock colored using Ultra Pink ink pad. I also added a few little black stamped hearts as accent pieces. This card wouldn’t have been complete without a strip of gold mirror cardstock adhered at the bottom. For my second project, the Truly Madly, Deeply I started by stamping the Heart Vine in Bubble Gum. I heat embossed the sentiment using Brass embossing powder and stamped it again using Black ink but offsetting a bit for a fun shadow look (the xoxo was stamped in the same way). I also added a few flowers and leaves from the Color Layering Let Love Grow set, also added a strip of gold mirror cardstock and foam mounted my stamped panel onto a 4 1/4 square card base. My third project was done in a slightly different color scheme, I went with gold + red + white. I started by heat embossing a stunning Garland Bold Prints background in gold. Also stamped Candy Stripe background in Raspberry Jam and added a thin strip of red cardstock to my background. I die cut a heart from the Floral Stamp & Cut combo out of Gold Mirror cardstock and also die cut two “love” words out of gold and red papers. Foam mounted everything on to a card base and added a few red enamel dots to complete this project. Hero Arts is giving away one collection of clear stamps and dies from the release to one lucky commenter, picked from comments left on everyone’s posts, received by 11:59pm PST on Sunday, December 13th. Hero Arts will announce the winner on the Hero Arts blog next week. They are all beautiful, Yana! Love these HA products too! simply awesome cards Yana….. I just can’t take my eyes off them… thanks for sharing…. Love the pink trio colour combi on the card….such a delightful and happy colour! Wow!! 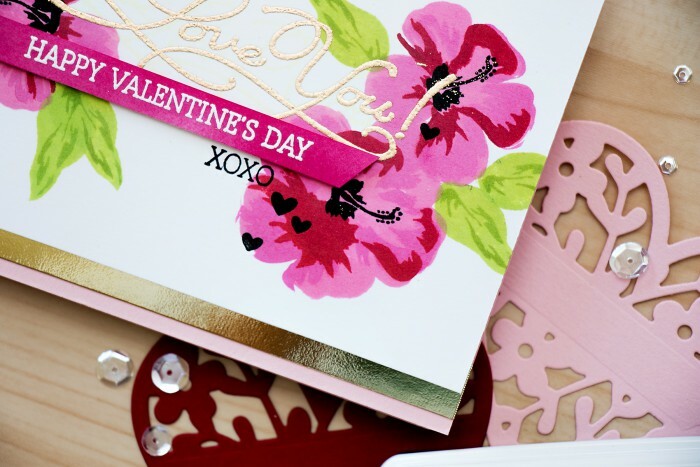 Your cards are so beautiful with the combination of stamping and die cuts. They are delicate and colorful at the same time. Beautiflul cards, Yan,a as usual! I’m in love with that heart… especially in gold! Love the offset black under the gold lettering, too! my goodness your cards are stunning!! so beautiful!!! Your cards are beautiful. Thank you for the inspiration. These are all so amazingly BEAUTIFUL! There are just so many possibilities with this release. I am totally in LOVE with it. Thanks so much for the chance to win! Awesome cards and thank for sharing. Wow, amazing cards. Thanks for the inspiration. I love this release. 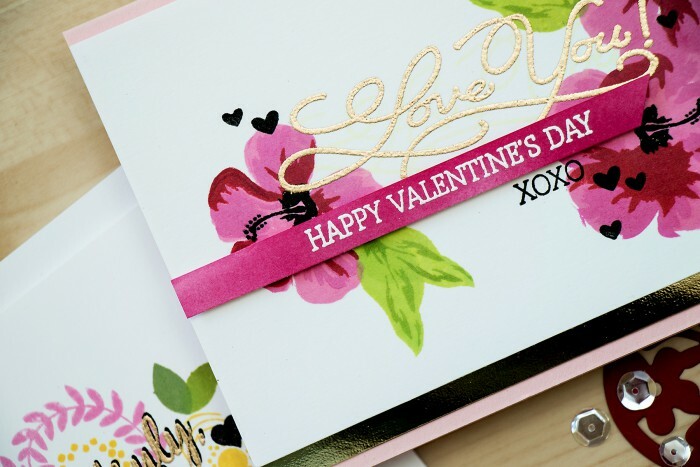 I love all 3 cards here, the flowers in the first one stole my heart, the second one is so pretty with the heart, and the third one is superb. Wow, Yana… They are gorgeous! 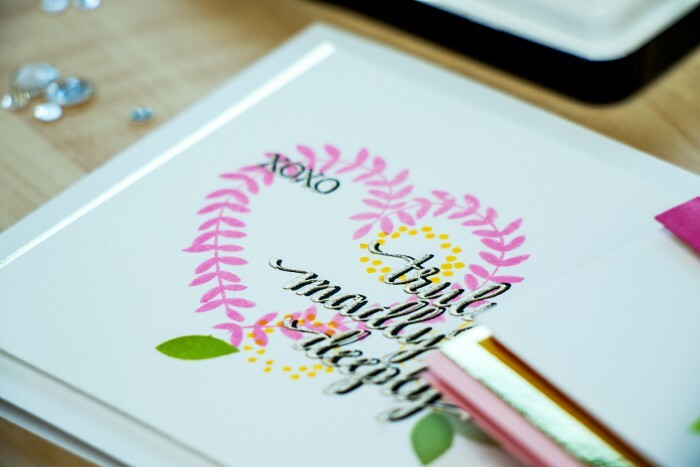 Love the details of your stamping and diecutting. I LOVE your beautiful Valentine’s Day cards! These are all amazing! Gorgeous cars…the off set sentiment inking is amazing on the 2nd card. Your cards are always stunning and artistic!! As always, your cards are gorgeous and inspiring! Love the double entwined love cuts. Great projects! I love the red and gold. Love how you contrasted the gold with the bright colors on all of your cards. So beautiful. These are all absolutely gorgeous! Love this awesome Valentine collection! 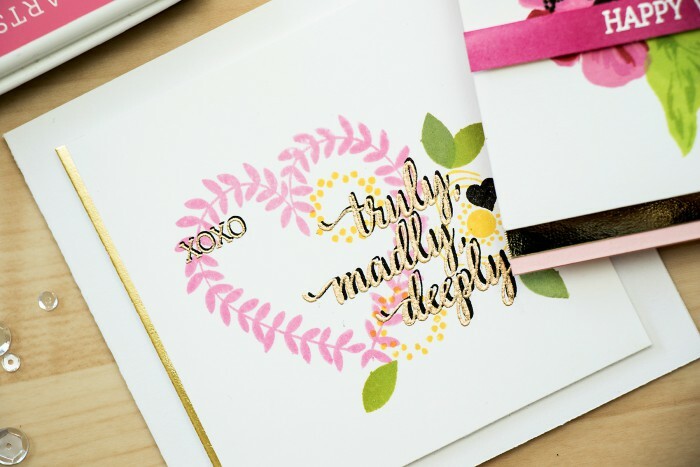 Gorgeous cards; really love the “truly, madly, deeply” card. Gorgeous cards, love the gold details in all of the cards. Already? Im totally not ready for Valentine! Although should notice that new release is awesome! Love all your projects! I noticed (at least in mobile version) that your blog design has been changed? Love it! So fresh and stylish! As are all your cards today!